P Harikrishna crushed Max Illingworth while Grandmaster S P Sethuraman also scored an easy victory over Russian Sanan Sjugirov. Highest rated Indian P Harikrishna crushed Max Illingworth of Australia to virtually book a second round berth in the World Chess Cup now underway here. Grandmaster S P Sethuraman also scored an easy victory over Russian Sanan Sjugirov in the first game of the first round of this knock-out event among 128 players. Harikrishna and Sethuraman just need a draw with white pieces in the return game to meet each other in the second round of one of the toughest event, based upon the survival-of-the-fittest theory. It turned out to be a mixed day otherwise for the remaining Indians in the fray as B Adhiban could get a half point against Vladimir Fedoseev of Russia while Vidit Gujrathi achieved the same result against Bruzon Lazarov of Cuba. M R Lalith Babu also secured half a point against much higher rated Radoslav Wojtazsek of Poland but Surya Shekhar Ganguly ended on the receiving end against talented Russian Vladislav Artemiev of Russia. The USD 1.6 million event did not have any major hiccups for the higher ranked players in the opening round as most of them cruised through. However, Anish Giri of Holland and Boris Gelfand of Israel were amongst the few stars who were held to draws by lesser known opponents in the first game. With one more game to go under standard time control in round one, none of the stars look in any danger of crossing the first round and the next round will see more lively pairings on almost all boards. Amongst the Indians, Sethuraman and Harikrishna look a sure for round two for a clash between them while Vidit Gujrathi is now a strong contender for the round of 64 as well following a fine draw against his Cuban counterpart. Harirkishna was at the top of his game against Illingworth and sacrificed a piece at the right time to find a lot of holes in his Australian opponent's position. 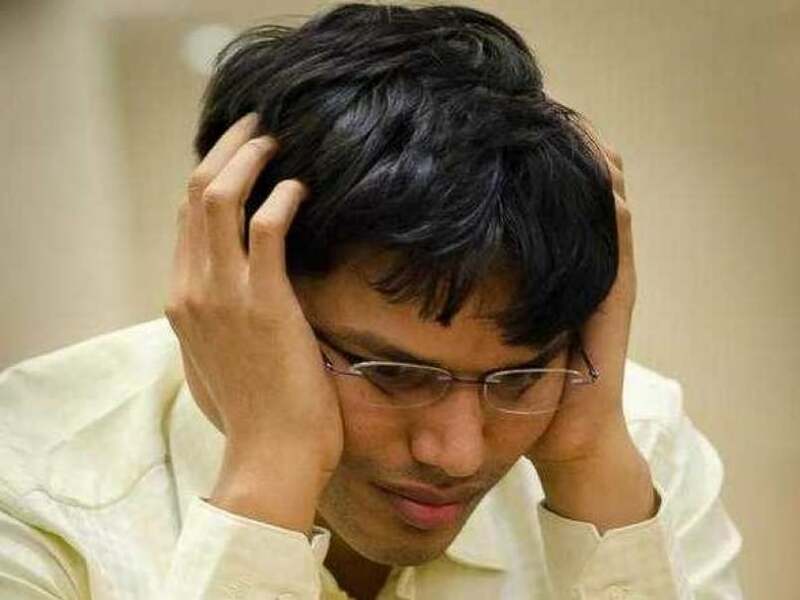 As the game progressed to the endgame, Harikrishna had as many as four pawns for the piece and the Australian could never pose a serious problem in Indian's quest for a victory. Sethuraman scored a quick victory against Sjugirov who did not know what hit early in the middle game. The Russian was at the wrong end of the complexities with white pieces as Sethuraman won a couple of pawns early to diffuse any chance for his opponent. Lalith Babu won accolades thanks to some fine counter play after looking a little uneasy with white piece against Wojtaszek. Liquidating to his advantage, the Andhra-based forced parity to look in to his maiden world cup confidently. Results (Indians) Round 1 Game 1: Bruzon Lazaro (Cuba) drew with Vidit Gujrathi (Ind); Vladislav Artemiev (Rus) beat Surya Shekhar Ganguly (Ind); Max Illingworth (Aus) lost to P Harikrishna (Ind); Sanan Sjugirov (Rus) lost to S P Sethuraman (Ind); M R Lalith Babu (Ind) drew with Radoslav Wojtaszek (Pol); B Adhiban (Ind) drew with Vladimir Fedoseev (Rus).